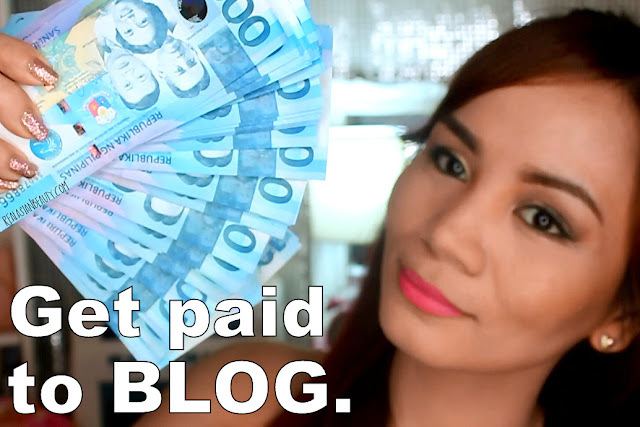 Three years ago, I wrote a blog post about what I think about getting paid to blog. If you haven't read the article yet, you may do so HERE. In that blog post, I wrote how I prefer raw and authentic blog posts and product reviews over paid ones. In my opinion, there is more sincerity and honesty in a review when there's no guideline, no storyline or no hashtags to promote. I tend to believe a blog review more when I know that the blogger wasn't sponsored. In that note, nothing turns me off more than a hard-sell blog post or video that is obviously paid for and the intention in making it was not to inform the viewers/readers but to hype the brand or product. But, a lot has changed since 2013. Back then, I used to get only few free stuff. In fact, if I remember correctly, I used to get about 2-3 parcels per month and each parcel would contain either a soap, an unknown facial cream or few samples. Excuse the humble bragging, but these days, I get a lot of free stuff in a month. I think I have also gotten just a bit more known now compared before. So, the number of parcels have changed... but did my perception on this matter change? I started making YouTube videos in 2011. At that time, getting your name out there means hard work. You either have to be good or be hard-working. I remember how passionate I was in doing product reviews back then. Taking photos of each product, editing them, putting cute stickers and texts in the photo, and so on. Back then, being a YouTube Partner was not easy, either. You had to really want it, you had to deserve it, you had to apply for it! I was denied the first time I applied for YouTube Partnership because according to YouTube, I didn't have sufficient number of subscribers and views to be accepted. I was only accepted in the program on my second try. But these days, YouTube has made it easier for people to be Creators. 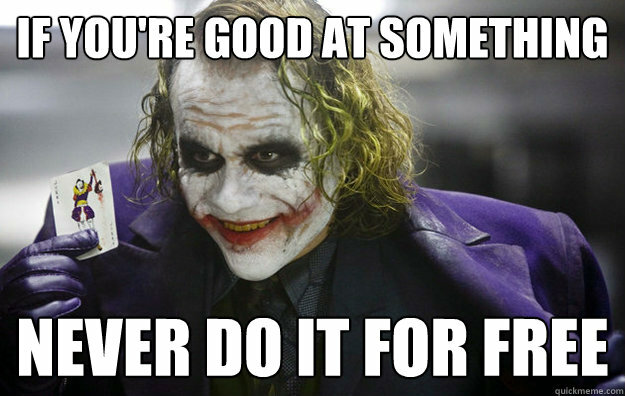 That is why being popular and viral on YouTube is so much easier these days. Of course, getting views and subscribers would also come as a piece of cake. Surprisingly, some of these new comers even got more subscribers in just a span of few months than I ever worked hard for in 5 years. Crrrazy! Yes, that's how big and popular blogging and vlogging has become. Anyway, back to our topic. What do I think about being paid to blog in 2016? 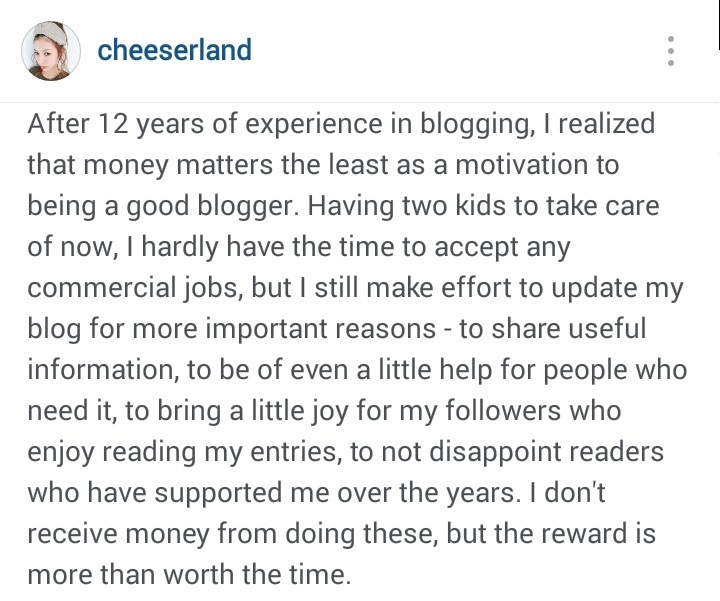 In 2013, I mentioned in the blog post that while I most probably will be accepting paid sponsorships in the future, I promised my readers that I would still remain honest in my posts. The reason why I am talking about this now is because I got really alarmed when I heard from someone recently that YouTube is actually a business these days! Wow, I honestly never thought of it that way. (I guess that is the reason why I am not as popular as the others.) I don't know how to put my words without sounding jealous or butthurt. All along, for 5 years, I did this whole Blogging and YouTube thing just out of passion and my desire to inspire people. Little did I know, some people around me are actually making it as their business. I was even told some Creators would NEVER do a video without being paid. That broke my heart. I am not sure if I was doing it wrong all along. I got so confused that I had to ask myself. 1.) What projects have Kristine done that she got paid for? The projects that I did were "commercial" type of videos. Mostly, these projects were done and shot by a production team, rather than just me in my bedroom. A perfect example of that project is my L'oreal Hair Color Ad HERE. I was paid for this project because the video was shown on the internet and was used by the brand to highly promote their product. And then, some projects were videos I did in my room featuring products I actually use in real life even before the brand e-mailed me and offered to pay me. In short, I only promote products that I truly like and really use. 2.) What I think about "Not doing a video without being paid"? Before I answer this, can we all pretend I am writing this in my diary instead of my blog so I could be really honest with my answer? To be honest, I think that is a complete sell-out. I mean, I have always told people that before I became a YouTube Creator, I was first a fan. I was a fan of a lot of foreign creators (because they were the only ones present at the time) Little by little, I noticed how some of them started producing "commercial-like" videos rather than the bedroom videos I used to enjoy. I mean, as a YouTuber, I know how happy they must have felt. Rose to fame through YouTube! But as a fan, I was dismayed and heart-broken. The reason why I turned to YouTube was because I grew tired of "perfect" people on screen in flawless videos and advertisements. The reason I prefered YouTube was because I appreciated the rawness and the spontaneity in them. But the more they make obviously paid-for videos, the more I noticed they lose connection to their fans and viewers. 3.) 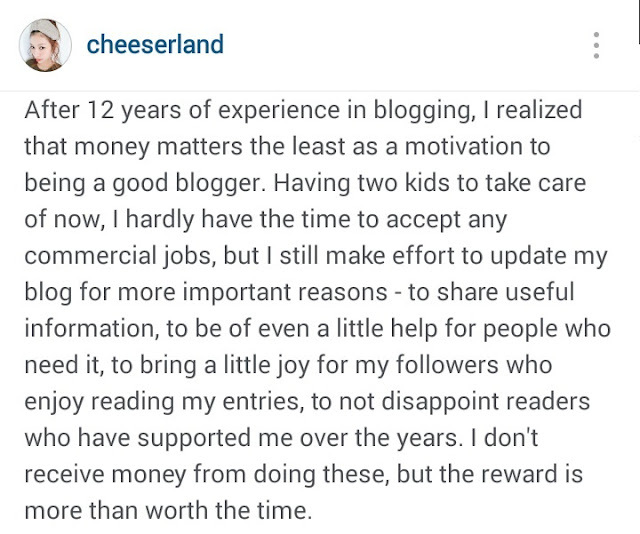 Is Kristine a hypocrite for saying she does not want to be paid to blog? Will she forever do free videos for these rich companies in exchange of few free items? This is a tough situation for me. It's either I value my clients more and lose connection with my followers. Or I value my followers and lose potential clients. I have thought about this for nights before actually grabbing my laptop and writing this blog post. What do I really want? What really makes me happy? Is it to get money and be popular? Or be real and authentic? I guess, now that I am finally writing this, I have made a choice. Everybody needs money, who doesn't? But there is really a thin line between doing a video for a product that you actually use in real life and then getting few bucks as incentive from it's company AND promoting something you don't really like and never really use in real life just for the money. I was truly disheartened when I heard that some actually "never promote anything without being paid". If I was a fan, how would I feel? Say my favorite Ryan Higa promotes something he doesn't really use in real life, like a toilet cleaner. How would I feel about it? Sure, I might go to the market and check the product out. But if Ryan just promoted the product because he was paid for but doesn't really use it in real life, I might get disappointed with the product. What's next? The backlash would always be towards Ryan and not to the product. Damn Ryan for promoting a toilet cleaner that does not work! I wonder what other products he had promoted that were hyped just because he was paid to do so! That's how I would truly feel. And please note that I am a Ryan Higa lamp. I'm not sure if Ryan has ever promoted a toilet cleaner that does not work. I just used him as an example since he's my favorite. If you've seen my videos, you've probably noticed me mention few brands. I also do collective hauls showing all the FREE PRODUCTS I get. To be honest, it is more stressful to do a paid video than to just receive few free items and never get paid. When you get free stuff, you can either post it on Instagram or Facebook, review on the blog and/or feature on YouTube. No stings attached, no hashtags to promote, no deadlines to meet. When you do a paid video, you have to post on Instagram,Facebook,Twitter, you have to review on the blog, you have to feature on YouTube, you have to attend their launching event, you have hashtags to remember and you definitely have deadlines to meet! I may be losing money for not being greedy when it comes to making videos for clients. But at least, I know for certain that I am not losing my followers. Money can always be earned. Money will always come. If you are Christian, you know that God will always provide. 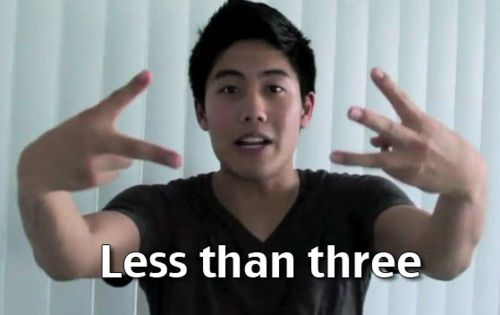 But, loyal followers (like how loyal I am to Ryan Higa.lol) don't always come. And they are most certainly hard to earn. Since you guys are hard to earn, please always remember my promise to you that I will always remain real, authentic and sincere in making videos and in writing blog posts. Since day 1 until now, I have never endorsed or recommended products I don't like, have never tried and have never used in real life. Of course, I will accept those monetary incentives from companies, especially if they require me to meet toxic deadline or create certain number of videos for them. I would also excitedly accept the money if the brand I am to promote is a personal favorite! But you can always be sure that whatever I am promoting, it is something I really like and believe in. From now on, the doubt of "she just featured it because she was paid" will forever be gone in your hearts because I am making this promise that I will always be true to it. The promise to always stay true, grounded, grateful and honest. Thank you so much for reading! I am writing this at 2 AM. God bless you all and please come back to this blog for more fun stories and blog posts! Don't forget to SUBSCRIBE to our YouTube channel (RealAsianBeauty) HERE for fun videos and cool tutorials!